You Asked, Here is the Answer – The 2017 BC Craft Beer Survey Random Questions Answered. In the 2017 BC Craft Beer Survey we asked consumers “Do you have any additional questions, comments or concerns about BC craft beer?” To this we had hundreds of responses. In the questions below we have consolidated into a list that covers pretty much every question (or venting opportunity) that you presented. You may be interested to check out our brewery listings page with a map of BC Breweries. You may also enjoy exploring the BC Ale Trail which highlights craft beer communities throughout BC. Alberta’s tax on craft beer from other provinces and distrubution of small batch from BC to AB. Several BC breweries have been working with the BC Craft Brewers Guild to change the taxation of BC beer in Alberta. Hopefully by the end of 2018 we will see a change that repeals the flat taxation of craft beer at 1.25/L. There have been several questions about contract brewing. For those that aren’t clear, contract brewing is when a brewery brews a beer for another brand. This can be a brewery that isn’t capable of keeping up with demand subsidizing their production or where a brand is created and the production is outsourced with no actual physical brewery. Contract brewing is common place in Ontario where there are dozens of virtual breweries contracting production. There have been cases of breweries subsidizing production in BC over the past 5 years but more recently virtual breweries have emerged. The contention lies in that a large brewery can come to BC and take advantage of the contractor’s lower rate of taxation and that someone can create a brand and compete with local breweries without any capital expenditure of opening a new brewery. The BC government is currently reviewing the concept of contract brewing and may make changes to taxation for contracted beer. If you are curious if the beer you are drinking is from a contract brewery take a look at the label. If it says “Brewed For” and not “Brewed By” you are drinking a contract brew. 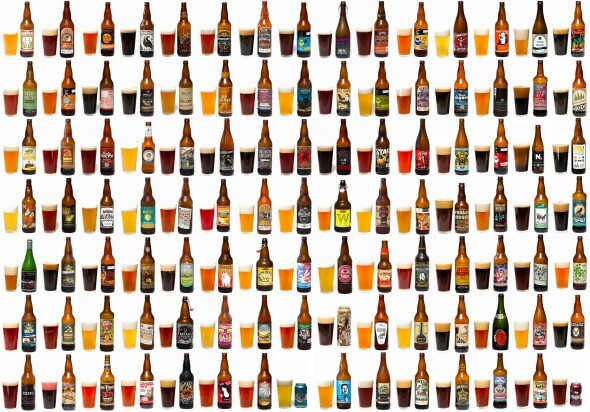 Are there plans to make BC craft beer more accessible in liquor stores across Canada? Alcohol sale is controlled at the provincial level across Canada. Depending on the market, the barriers to entry for a BC brewery vary greatly. Brands such as Phillips, Red Racer, Steamworks and Parallel 49 can be found in many provinces across the country. Ultimately whether we are talking about BC, Ontario or Newfoundland, liquor sale is a business. Each liquor board will support that which sells and makes them money. That means if a BC beer is in demand, they will support having it in market. There are hurdles in market entry, shipping costs and taxation but those same struggles are here in BC when an Ontario brewer tries to sell in a BC Liquor Store. Big shout-out to the BC Ale Trail crew for their tourism/advocacy/promotions work. Glad to see more tourism operators (eg. Vancouver Island Expeditions, Vancouver Brewery Tours) serving the craft beer and beer tourism industries and taking customers right to the source! Taxes are a significant portion of all liquor prices. There is some misconception though as to what the taxes actually are. Here is a breakdown for a somewhat typical BC craft beer sold at a BC Liquor Store . These rates will vary based on the size of the brewery, how they distribute and the package format but this represents a mid-sized craft brewery. Everyone involved in B.Cs craft brew scene should be proud. Absolutely top notch work to you all. B.C. beer is world class excellent. How do you start a craft brewery in BC? That is not a simple question. There are resources that can help though from Kwantlen Polytechnic University to First Key Consulting or simply talking to someone who themselves has opened a brewery in BC. How does one become a brew master? Most brewmasters have an education in brewing, biology or a related field. BC has some classically trained brewmasters plus others that come from engineering, microbiology or simply a passion for home brewing. How many more breweries can BC sustain? The impossible question. Depending on who you ask the number may be anywhere from 50 to 500. Time will tell where we see the number level out. You are in luck, it already exists. Fair Enough. To play the devils advocate though, BCLDB profits pay for your healthcare and schools. They have also drastically improved their business in recent years with extended hours, improved selection and chilled product. Credit where credit is due. I think that some brewers are getting a little silly from all the different beer styles they are producing. Way to many in my opinion. When I see a beer called milkshake ipa I just shake my head. Brewers have been chasing trends in recent years. The consumer is asking for crazy new beers and local brewers are responding in spades. Interestingly, While the IPA was again ranked the #1 style in 2017, the North-East IPA rounded out the top 15 for the first time. Consumers want hazy, fruity, low bitterness IPAs. There are very few breweries in BC that are owned by larg corporations. Granville Island is owned by Molson, Stanley Park is owned by Anheuser-Busch InBev. Those are the only two local breweries with Fortune 500-type ownership. I wish there was more selection of tall cans, most of my favourites don’t come in tall cans. Tall cans are the fastest growing prefered packaging format in craft beer. Watch for more beers to be released in this format in 2018. I would love to work hard in the BC craft beer industry, keeping it safe in the hands of the BC people and out of big business, whether promoting events through social media, advertising, growing the ingredients, or selling the beer. I’m sad to see that this survey only had 2 gender options at the beginning. It would be nice to see a bit more inclusivity – beer is for everyone! Note taken. The question was optional and all but three respondents chose to answer the question. We will reconsider this next year. It really sucked when Yellow Dog hosted Christy Clark right before the election… not very non-partisan of Brewer’s Row! Whether Yellow Dog liked it or not, you have to think about it from their perspective too. To say no would be a bad move as the government controls their business. Regardless of their political stance it was kind of a necessary stunt for them. It should be easier to get craft beer produced anywhere in the province, within the province. Make it easier for producers to get distribution in they’re own province BC liquor branch. You can custom order nearly any beer from any liquor store. If a particular beer is not available to you in your location that is likely a choice of the brewery or not demanded by consumers. They may not have the ability to distribute as widely as you are located or my not wish to. Either way, ask your local liquor store and they can likely get you what you want. It would be awesome if breweries offered 6 pack bottles with 6 different beers, or at least more than one! There are several small-format mixed packs now available from Red Racer, Cannery, Steamworks and more. Any brewery can grow hops. There are absolutely no restrictions on what a brewery can or can not grow on their land. Tell your local restaurant what you want. They are in the business of selling what will move the most volume. If you are looking for something in particular let your voice be heard. My concern is that everyone is moving toward lagers, the whole reason that craft beer got started was that there were too many lagers. That and he fact that there is currently too much focus on fringe styles that are only drinkable by the average person in small amounts. That and certain key players (ie Phillips, P49, Central City, Four Winds, etc) are rapidly pulling ahead of the pack and commanding a dominant market share. This will likely put several smaller, worse-managed and not-as-well-funded breweries under, resulting in less choice, the whole purpose of this movement in the first place. One thing that people often forget in craft beer is that the laws of supply and demand apply. The beers that people want will be made, those that people reject will be discontinued. As we look at the evolution of craft beer flavours in BC, it is a direct result of what consumers like and dislike in the market. All breweries, regardless of size will brew what they think their customers are asking for, Those that do it best, understand their customers and manage their businesses effectively will thrive. One of the biggest challenges in the current market is creativity. Any brewery can make a typical pale ale or west coast IPA, but who cares really. The breweries that will prevail and be successful will be the ones that continue to innovate, create and push the boundaries. There are so many beer styles, fermentation methods and styles, ingredient manipulation and ingredient selection that are not yet explored on the commercial market. There is a lot of room for growth, obviously the hazy or juicy or tropical or milkshake or lactose IPAs are huge right now, but the creativity has run its course, I’m waiting for the next trend to really hit and hopefully its wild, funky, spicy, fruity, estery, balanced, drinkable and complex. The Aframes, Trees, Cannery, VIB, etc will begin to flounder without taking the next step in creativity and brew the beers people really want to drink and not what was popular 20 years ago. If you can tell a brewer what that trend will be they will be all ears. We are deep into sours and hazy IPAs right now as a province. The next trend is for you and I to demand, and local brewers to capitalize on. Preferential space needs to be given in the BCLDB stores. BCLDB Stores are run like any other business. The largest spaces go to the products that sell the most. One could argue though that there are two exceptions in BC Liquor Stores: BC Wine, and BC Beer. Both have a disproportionate amount of space for the volume they sell. Don’t get me wrong, I want to see more BC beer in BC Liquor Stores but they are already at a significant advantage compared to out-of-province beer. ALR Land is a hot topic, but also a misunderstood one. The ALR is a land zoning category reserved for farming. It is not a land type that has traditionally been used for manufacturing or commercial applications. This question undoubtedly arises from the Persephone Brewing issue where they faced eviction based on their use of ALR Land for their brewery and an inability to grow the bulk of their required ingredients on site. Since this surfaced the Provincial Government has set out guidelines for ALR use of a brewery and what they must do to be compliant. The other brewery that is affected by this ruling is Crannog Ales in Sorrento BC. 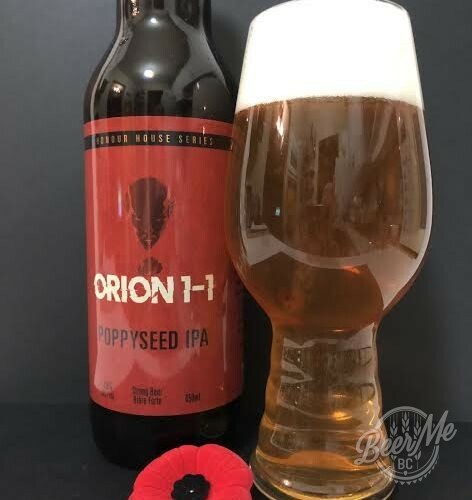 At this point, both Persephone and Crannog have an achievable framework in which to continue operating their breweries on ALR land that involves growing ingredients and purchasing other goods from BC producers. Beer Me BC was founded in the spirit of promoting quality, local craft beer. If you are looking for a terrible review, I suggest going somewhere else. We would rather not share it. Beer Me BC wants to shout from the rooftops about all things great in BC Craft Beer, we will just ignore those that aren’t worth promoting. Fining agents are used to clarify beer. This is not a new concept and has been done for hundreds of years. If a beer is not clarified there is an increased risk of re-fermentation and other spoilage. Ingredients such as Irish Moss, Silica Gel, Isinglass and Gelatin among others are sometimes used by brewers to clarify beer. Alternatively or in addition to fining agents, a centrifuge can be used but at a cost of $250,000+, only the larger, more sophisticated craft breweries can use this option. Fining agents do not appear in the end product of beer, they are an additive that is removed prior to packaging, you can think of them more as a catalyst in production than an ingredient in the beer. Want the BC craft beer community to support the BC and Canadian farmers more. Find a way to source more from Canada. Most beer in BC is brewed with Canadian Malt. There are specialty ingredients that are sourced internationally but BC beer is primarily Canadian. If BC had the current capacity to meet the needs of BC brewers for barley and hops there would undoubtedly be more local ingredients. It isn’t a matter of local support, rather a matter of local capacity. Would like to see growler fills being offered in private liquor stores. Growler fills are currently only legal at a brewery. While provinces such as Alberta, Manitoba and Ontario are currently offering growler fills, it isn’t an option in BC. That said, something like a 6-pack of cans is a more stable package for beer and will result in a better quality experience than a growler. Would like to see more Craft Cider available at breweries. Cider is made under a winery license, not a brewing licence. In order for a brewer to make cider they must have both licenses. That said, may breweries have started having a guest cider tap from another manufacturer to help support demand. Is there any way to show which craft breweries also brew Rootbeer?